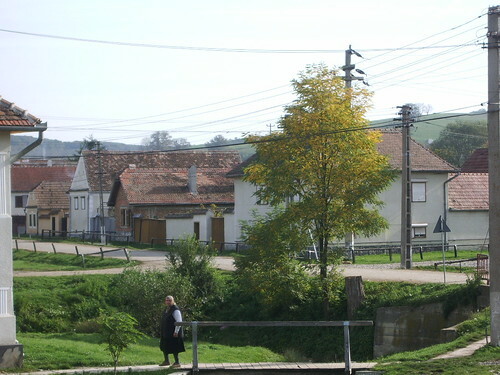 One day in my final week in Sibiu as part of my work I was able to spend half a day in the nearby countryside. 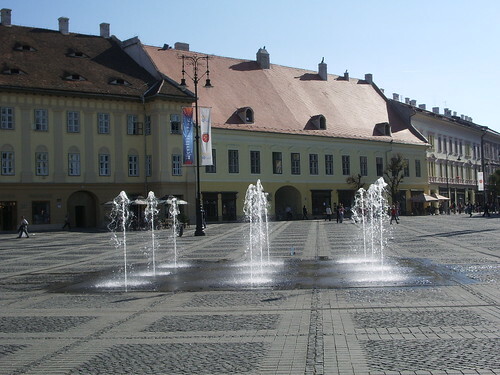 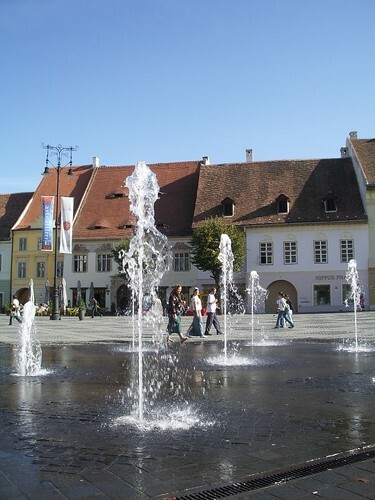 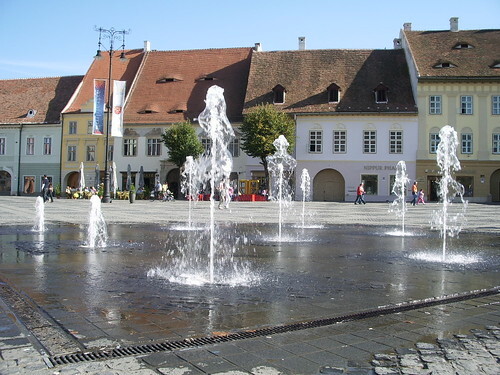 Sibiu is a county town, but much of the county (‘judet’ in Romanian) is rural. 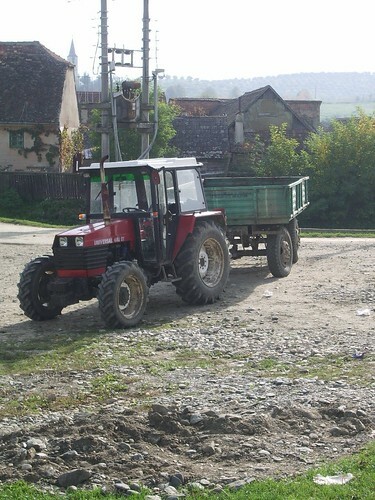 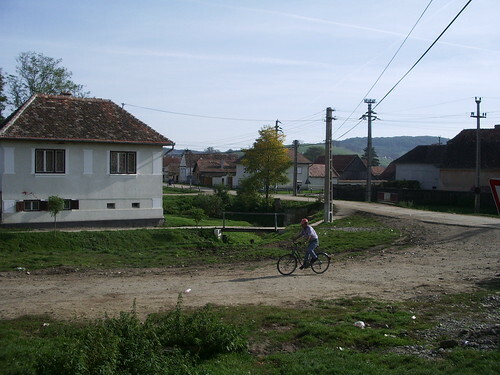 The next few days will show pictures from a rural village in Sibiu judet. 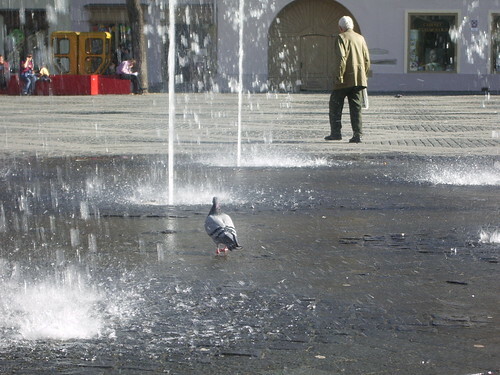 Here are some of the locals using the fountain to cool down. 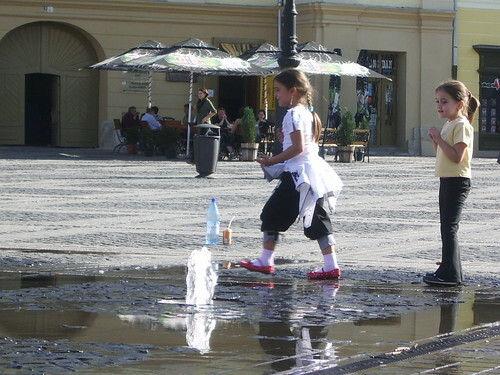 Even though this was taken in October, you can see it was still very warm and dry. 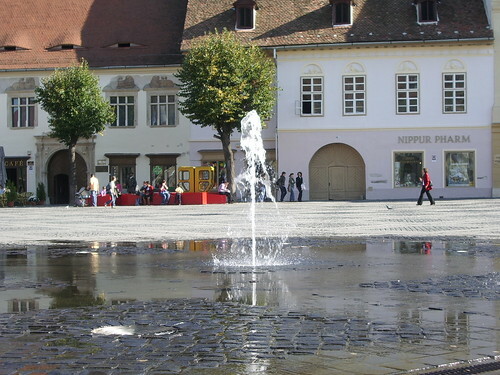 In the summer during the “canicula” (heatwave) walking by or (if you were brave) through the fountain was *such* a blessed relief from the relentless sun! 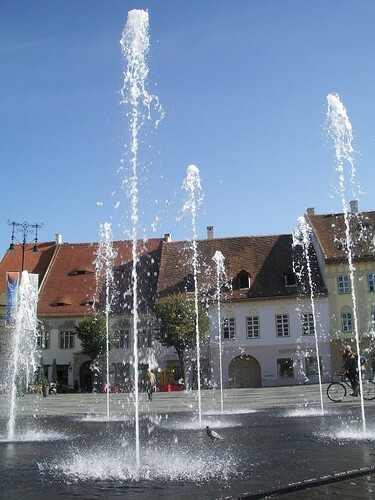 I never did tire of taking pictures of the Piata Mare fountain. 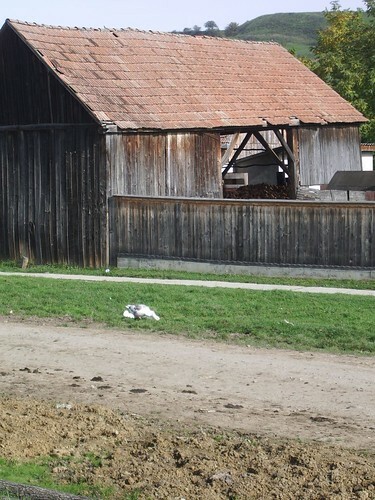 I’ll show it from different angles over the next few entries.